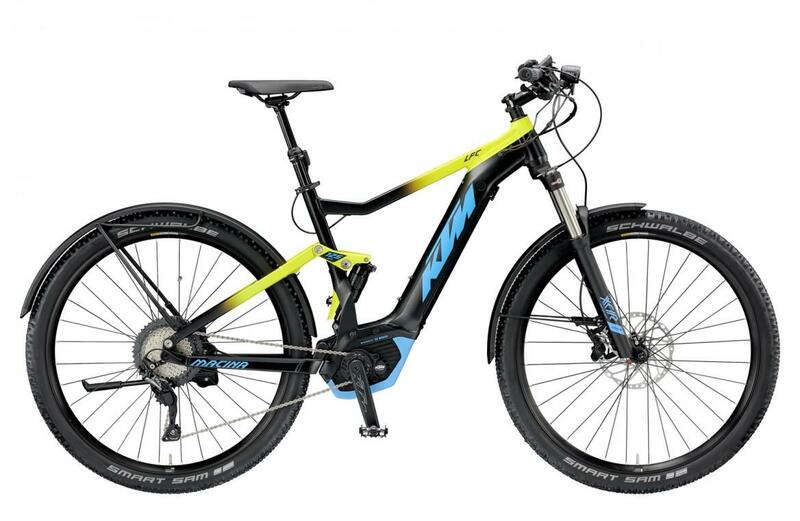 This weeks 'Product of the Week'is the 2019 KTM Macina Chacana LFC. This beast of an Ebike is a new model for 2019 and with the LFC package this bike contains all sorts of extras new to this years range of Ebikes. This bike makes one big first impression and can sometimes cause people to full funny faces but bellow we're going to get into the spec and details of the bike and see what makes it so special. LFC = Lights / Fender / Carrier. This is a package now available from KTM to fit a selection of their bikes, allowing them to easily to be converted to a utility style bike with ease. This Chacana LFC model is fitted as standard with this upgrade package. 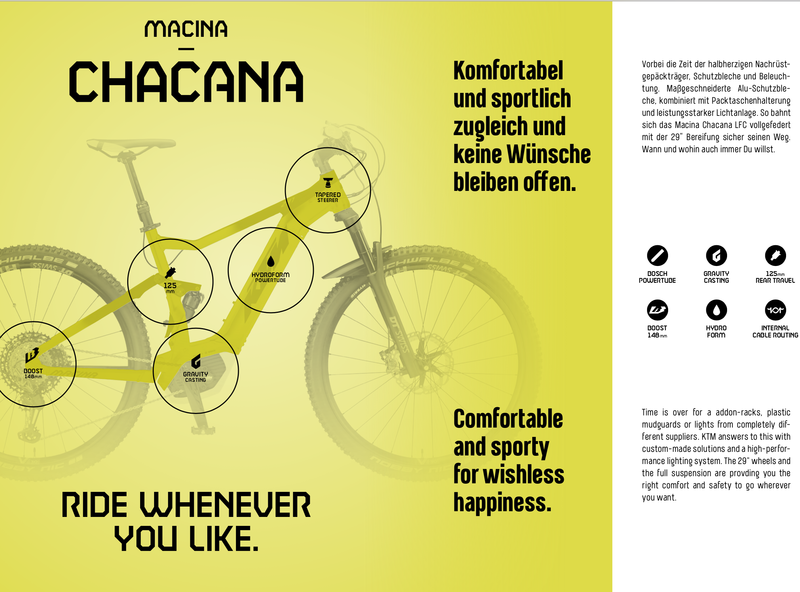 The Macina Chacana LFC is available for £3799 which includes high standard suspension, motor and features throughout the bike. It is equipped with a Bosch performace CX drive motor making sure it will take you where you want to go- and fast. The powertube helps pack a 500watt battery that will last from sun up to sun down even in turbo. The rear shock is a 125mm Rock Shock Monarch paired with a set of Suntour XCR 34's up front. The groupset is full 11 speed Shimano SLX and to help stop all this power is a pair of Shimano Deore M6000 hydraulic brakes. To dig deeper into the spec check out the bike on the Fli site. Or alternatively check out this first look blog from E-Mountainbike magazine linked here. The battle against and for Ebikes has been going on for years now but we at Fli are strong believers that everyone needs one! If you don't believe us or are just curious then be sure to follow Fli Distribution and KTM Bike Industries UK on social media to hear about demo days in you're local area.